Why online shopping is far less risky than you might think. There are many people who daily decide to turn to the Internet to make their online purchaises. However, some customers, even if driven by the desire to try, at least once, to buy an item online, are punctually dampened by fear of having to pay for something they have not received yet and their reluctance is mainly provoked by the terror of being deceived, paying for something that they never receive. 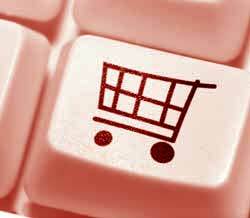 It’s just for this reason that we have decided to write here below three important rules that each customer should scrupulously know in order to be able to make his own purchase online without any tension or fear but with the absolute certainty of feeling protected at every stage of his purchase. We'd like to assure him that there is no risk involved at all! Are you scared of using your credit card to pay for goods online? If it is the first time you are making an online purchase, why not pay with a pre-paid credit card for peace of mind. Pre-paid credit cards make it easier to check how much credit you have available and the amounts that have been drawn against the card, by means of SMS alerts, which update you in real time on all transactions that have taken place using that credit card. If however you would still feel more comfortable paying for your online purchases through your bank, you can do so quite easily with a wire transfer. Are you worried that your online purchase will never get to you? Read the terms of business carefully and keep a print out of the relevant details for yourself. A proper shop isn't one that goes after one-off clients with a 'too good to be true' dodgy deal, it is a shop that takes great care to satisfy its clients, to gain their trust, that treats them so well that they become regular, devoted customers. A proper shop develops a relationship of mutual respect and complete honesty with their clients. A shop like that will go all out to keep their customers happy, despatching their handbags with the minimum delay, because they know that one satisfied customer is better than ten dissatisfied ones. What do you do if you don't like the product once you receive it? Under the terms of art. 5 DL 185/1999 if the customer is a consumer (that is an individual person who buys a product for personal use, unconnected with their professional activities) they have the right to withdraw from the purchase contract for any reason whatsoever, without having to give any explanation, within 10 days. So you have plenty of time to make up your mind whether you like your handbag or not!!! In this regard, however, we encourage customers to carefully read all the clauses relating to this subparagraph inside the section reserved to TERMS AND CONDITIONS before proceeding with the return of the purchased goods and with the request of refund by the dealer. We also ask you to use this right of recession from the contract and restitution of the goods only where strictly necessary because, behind each item, its preparation and shipping, there are many hours of work and a great deal of efforts, and, it would be really unfair if the customer avails himself of this right for trivial reasons or for a sudden change of personal tastes. In order to avoid such unpleasant situations, we pray every kind customer to carefully consider and think over each selected item before going on with the confirmation and the payment of the goods. It is also advisable to inquire about the clauses relating to the right of recession which clearly show all exceptions, this right of withdrawal can not be applied in. As you can see all by yourself, there are many reasons why we can assure you that online trade is much safer than any other form of trade, because the customer either during the purchaise or during the passage of the payment is largely protected by Law, much more than the same seller is. Now that you have finally understood how reliable online commerce is, don’t hesitate to enter some on line stores and make your first on line purchaise. It will be beautiful, fun and very relaxing. We are sure that you enjoy it! !